President Donald Trump was vocal on Twitter on Monday morning amid a rising outcry from both sides of the aisle over his administration’s “zero tolerance” immigration policy. Trump has repeatedly tried to blame Democrats for his administration’s policy of separating families found to have illegally crossed the border. Almost 2,000 children have been separated from their families at the border over six weeks under the policy, according to government data obtained by the Associated Press. The Washington Post reported on Friday that Trump saw the policy as leverage to help him achieve other goals regarding immigration policy, including tighter security and his promised border wall. On Monday, Trump began commenting with a repeated call for Democrats to support new immigration legislation. Trump went on to cite the violence some immigrants are fleeing as a reason to tighten the US’s borders. Beyond the children separated from their parents at the border under Trump’s policy, about 230,000 minors have come to the US unaccompanied since 2014, according to Customs and Border Protection data. In 2017, most of these unaccompanied children were ages 15 to 18, and 94% were referred to the refugee-resettlement office after fleeing violence in Guatemala, Honduras, and El Salvador, a violent streak Trump seemed to suggest was a reason any immigrants from the southern border could be a threat. Trump also commented on the policy in front of a White House press gaggle last week, calling for immigration measures he’d been advocating since his 2016 campaign. 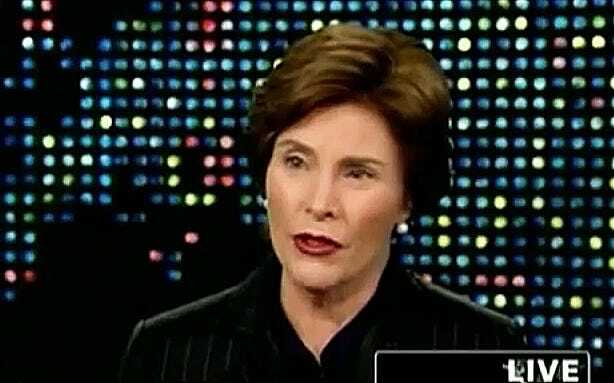 YouTubeThe former first lady Laura Bush condemned the policy over the weekend in a rare op-ed article. The policy has drawn ire from both sides of the aisle, dominating the conversation on lawmakers’ on-air appearances over the weekend.Several Democratic lawmakers visited a New Jersey detention center in honour of Father’s Day to protest the policy separating children from their parents and meeting with fathers whose children were separated from them after crossing the border. The former first lady Laura Bush condemned the policy Sunday in a rare op-ed article. Republican Sen. Lindsey Graham called on Trump last week to use his executive authority to end the policy, underlining that no legislative action was needed.